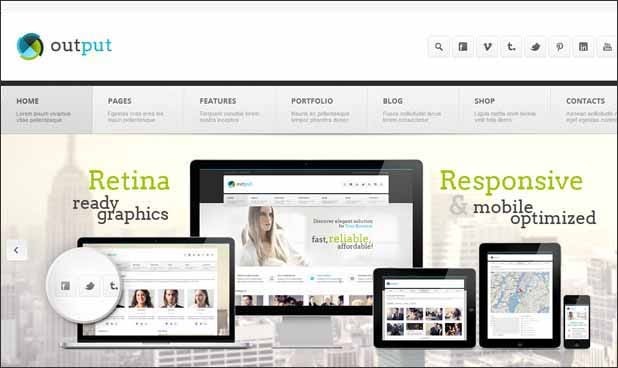 Premium responsive WordPress templates are specifically designed to optimize your website. 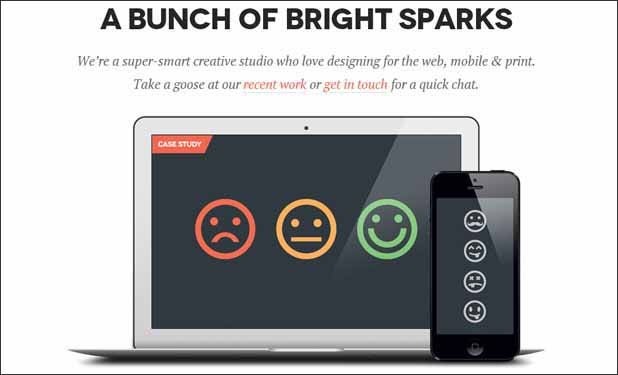 These templates contain utility features that aid in increasing the visibility of a website. Such templates can be easily installed and configured with plenty of customization options embedded in them. 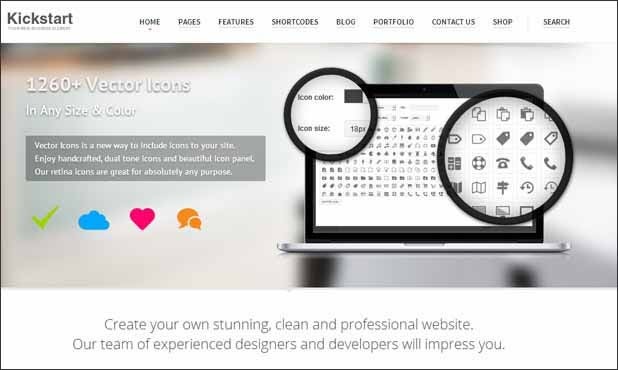 These highly optimized themes offer your website a bright look and thus initiate an amazing browsing experience for visitors and readers to your site. 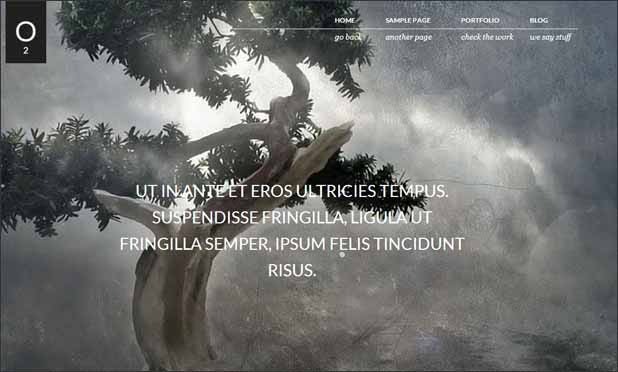 Wiretree is a great WordPress template, designed for corporate websites. 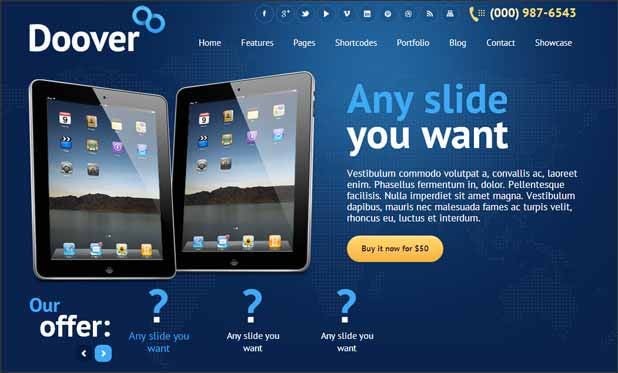 The template features a responsive layout, drag & drop page builder, amazing revolution slider, etc. Metro Vibes is a great responsive WordPress template featuring one-click auto install, in-built marketing and SEO optimization and other features. 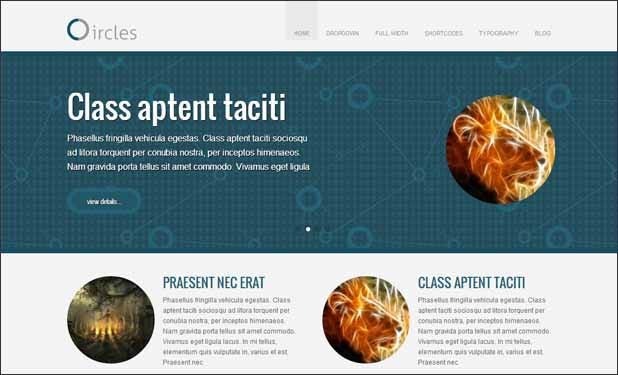 Patterns is a responsive WordPress template with multiple category page layouts, news ticker, post templates and fully controllable sliders. 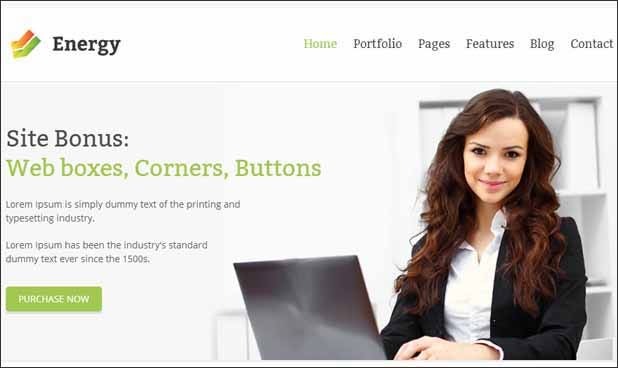 OfficeSpace is a superb WordPress template, designed for business sites. 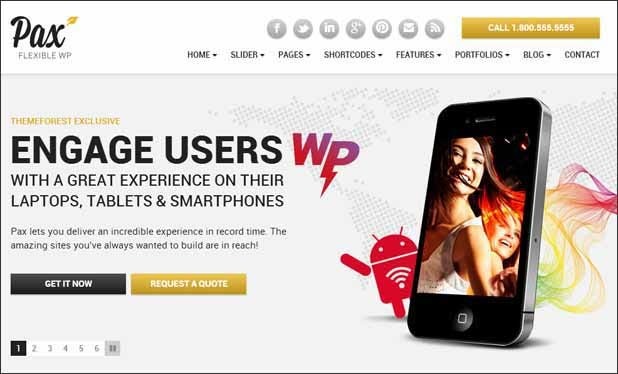 The template possesses amazing features like custom widgets, background uploader, advanced theme options. Wealthz is a great multipurpose WordPress template, featuring an amazing revolution slider, unlimited colors and an advanced admin panel. 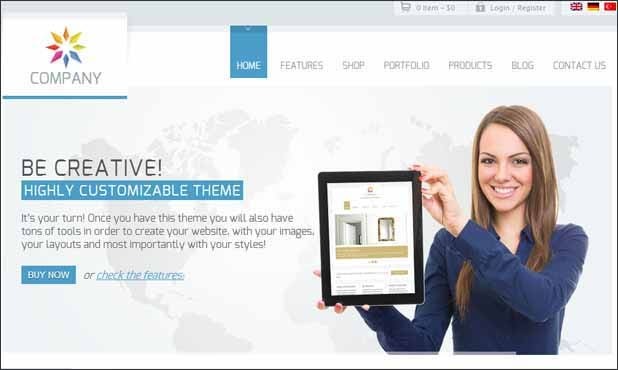 Vertex is a well known responsive WordPress template with browser compatibility, unlimited colors and complete localization support and an advanced theme options. 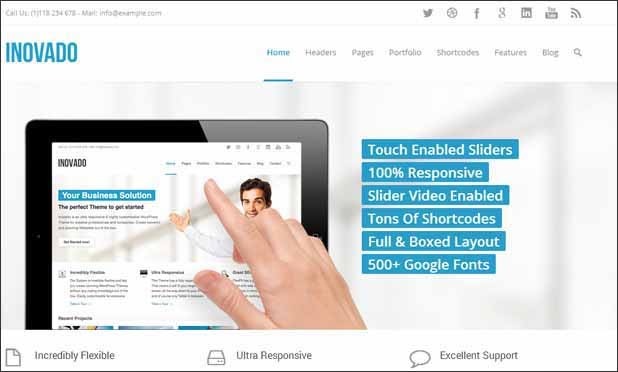 Phomedia is a premium responsive WordPress template with premium layer slider, cross-browser compatibility, advanced documentation and visual composer page builder. 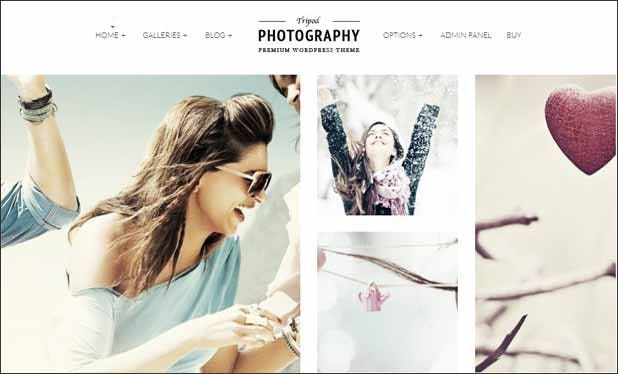 Evermore is a special WordPress template with amazing galleries, advanced admin, image sliders, custom skins and other utility specs. 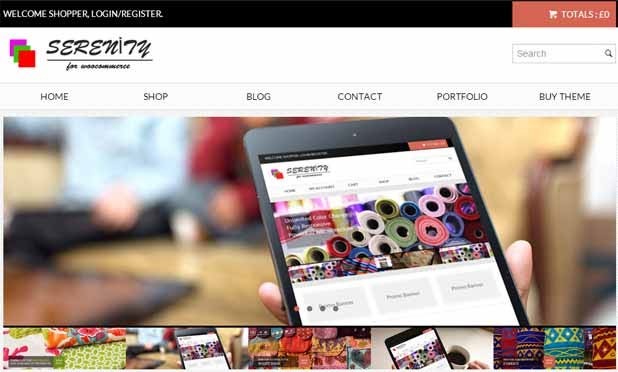 Gazeti is a premium responsive WordPress template with three well-designed color styles and various other utility features and useful customization features. 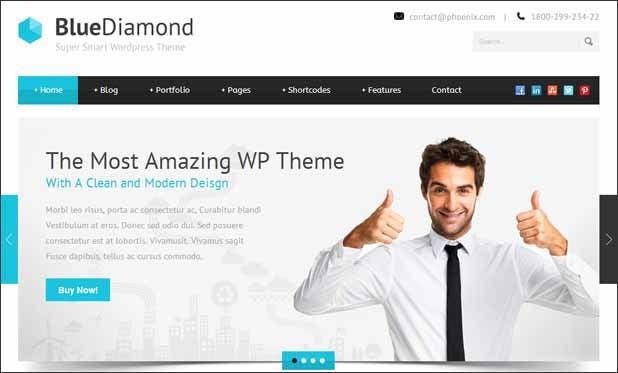 Blue Diamond is a great WordPress template with a live color manager, drag & drop page builder, layer slider and localization support. ExploraSky is a well known responsive WordPress template with amazing color schemes, revolution slider, Google fonts support and drag & drop page builder. Rocco Flat is another WordPress template with unlimited layouts and colors, different header layouts, premium plugins and translation support. PhotoFrame is a premium responsive WordPress template with clean and refined layout, dark color scheme, in-built slideshow and easy customization support. Striking is a great WordPress template with sixteen custom widgets, over seven hundred Google fonts and custom background loaders. Inovado is a special WordPress template with five hundred Google fonts support, advanced admin panel and utility premium sliders. Fable is a superb responsive WordPress template with unlimited colors, complete localization support, browser compatibility and an advanced theme options panel. 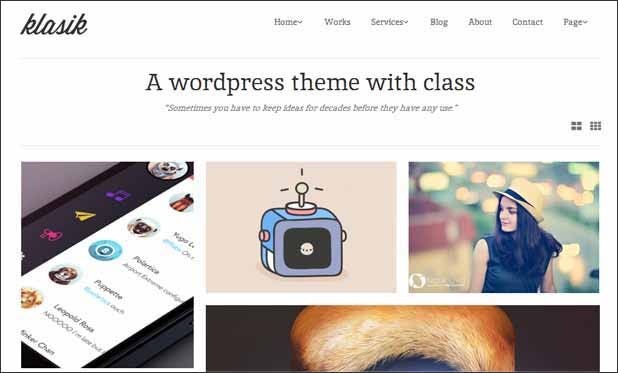 RT-Theme 17 is a great WordPress template with eight predefined skins, six in-built widgets and multiple advanced styling options. 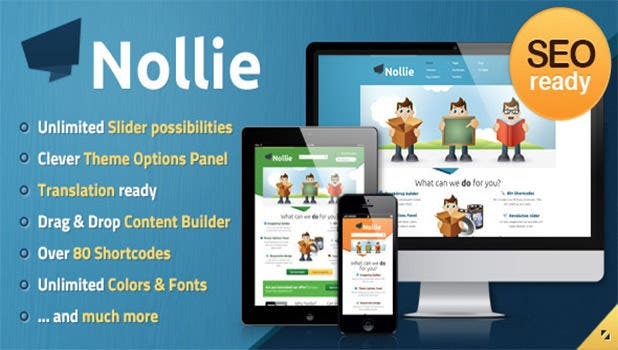 Nollie is a terrific responsive WordPress template with drag & and drop content builder, unlimited colors and fonts and a series of other useful features. 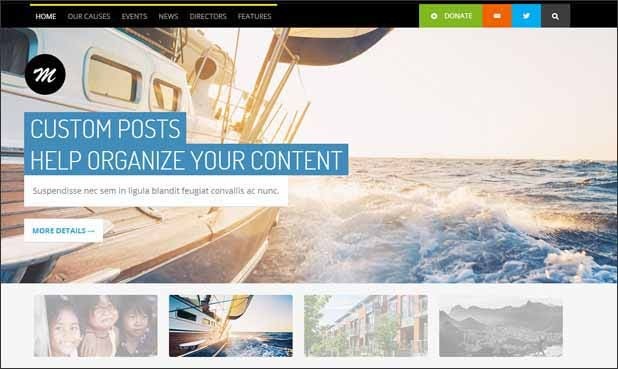 Nimble is a premium responsive WordPress template with five unique colors, unparalleled support, browser compatibility and other various exciting features. 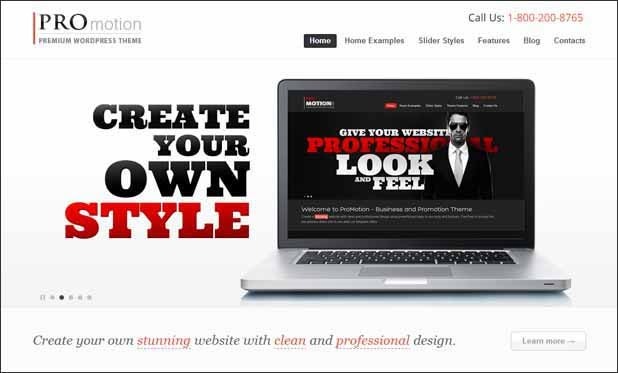 Bretheon is a premium responsive WordPress template featuring revolution slider, drag & drop content builder, advanced theme options panel and over eighty shortcodes. Hikari is a special responsive WordPress template with advanced page builder, advanced theme options, bootstrap framework and an optimized layout. 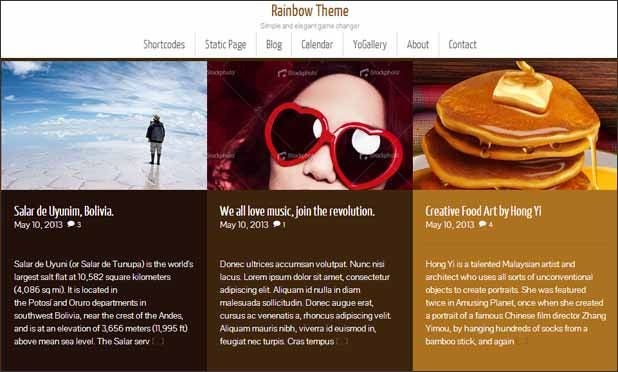 Rainbow is a special responsive WordPress template with nine predefined color schemes, localization support, multiple shortcodes and social sharing panel. Church is a premium responsive WordPress template with one-click auto install, dynamic sidebar, JQuery image slider, customizable widgets and advanced admin options. Emode is a multipurpose terrific responsive WordPress template with dark and light color schemes, advanced admin panel, customizable widgets and shortcodes generator. 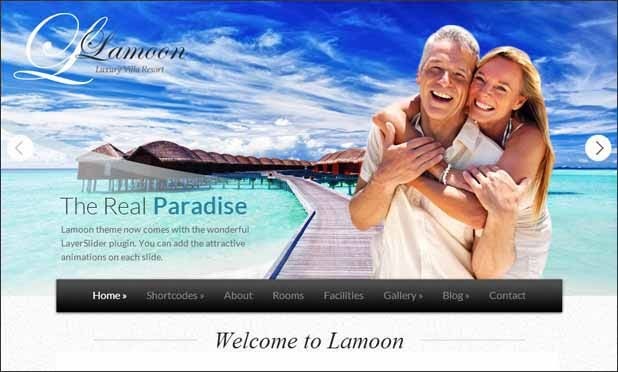 Lamoon is a terrific responsive WordPress template with multilingual support, five color schemes, filterable photo gallery and advanced theme options panel. 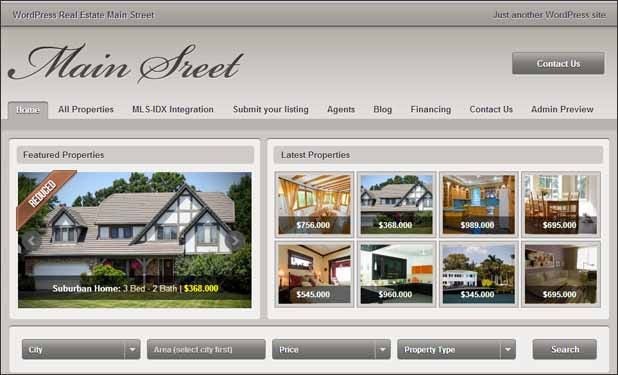 Main Street is a premium responsive WordPress template with advanced theme features, Google maps integration, multi category search and an optimized layout. Punch is a premium responsive WordPress template with Google map integration, four hundred Google fonts support, accent color options and dark and light skin. Skylab is a worthy responsive WordPress template with revolution slider, unlimited color schemes, custom post options and types and localization support. 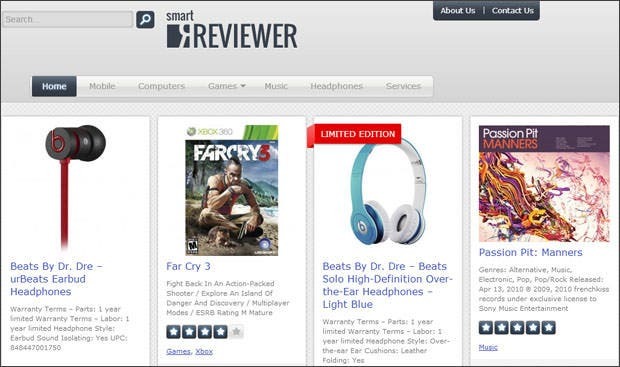 SmartReviwer is a superb responsive WordPress template with two premium layouts, two additional widgets, Twitter bootstrap support two additional widgets. 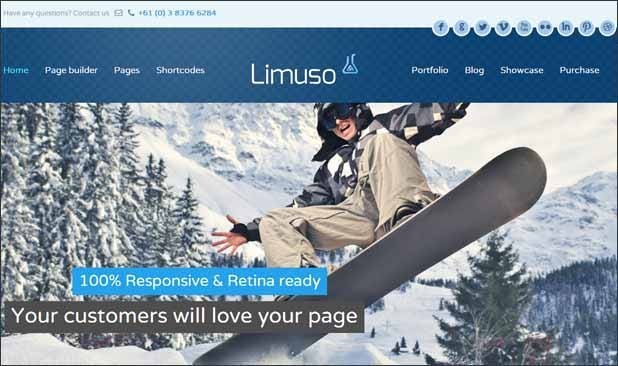 Limuso is a special responsive WordPress template with revolution slider, advanced options panel, drag & drop builder and multiple shortcodes. STOK is a great responsive WordPress template featuring front page slider, multi-level dropdown menu and blog page template and theme options panel. 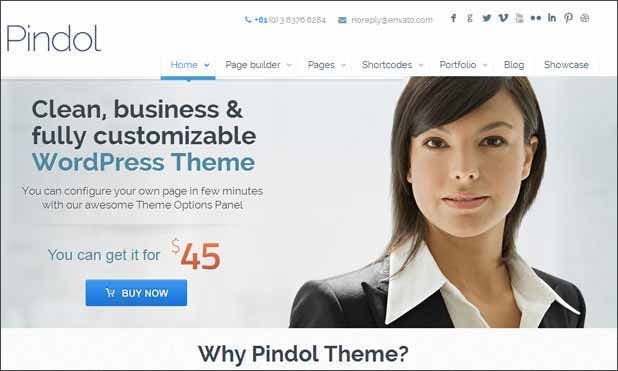 Pindol is a terrific responsive WordPress template with drag & drop content builder, advanced theme options panel, revolution slider and unlimited colors. Energy is a premium responsive WordPress template for multipurpose websites. The template features an advanced admin panel, nine header layouts and rounded layouts. 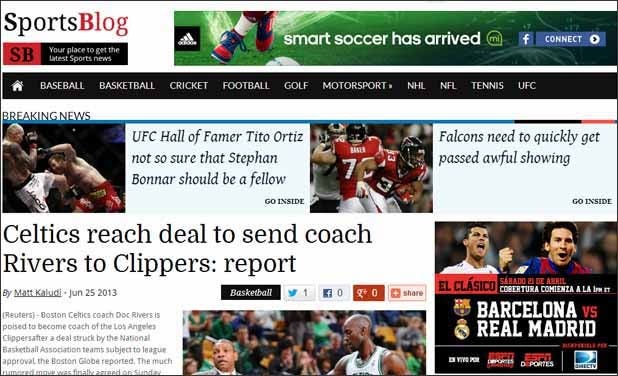 Gameday is a terrific responsive WordPress template for sports related websites. 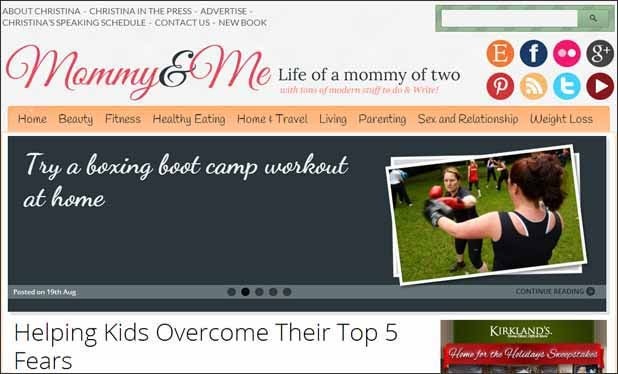 The template features customizable scoreboard and page and post slideshows. Keiko is a premium responsive WordPress template with unlimited layouts, custom headers and footers, revolution slider and teaser and slider builder. Voxis is a premium responsive WordPress template with plenty of widgets, unlimited colors, supports translation and advanced homepage block builder. Kickstart is a terrific responsive WordPress template with advanced admin panel, unlimited colors, advanced shortcode builder and multiple vector icons. 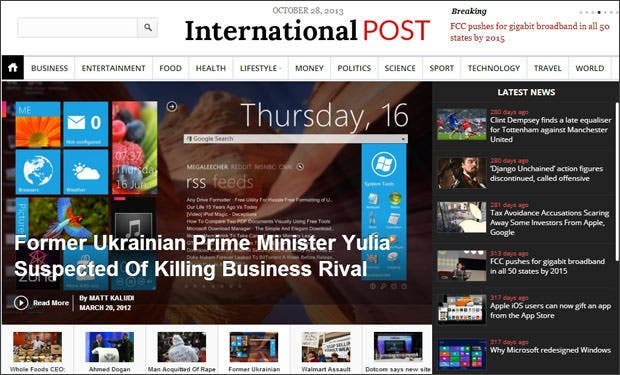 InternationalPost is a great responsive WordPress template with in-built SEO options, advertisement options, advance color options and admin control panel. 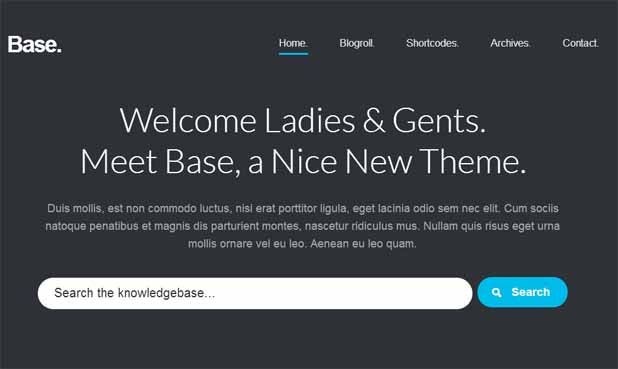 Base is a special responsive WordPress template with robust widgets, suave typography, color pickers, widget area generator and other utility specs. 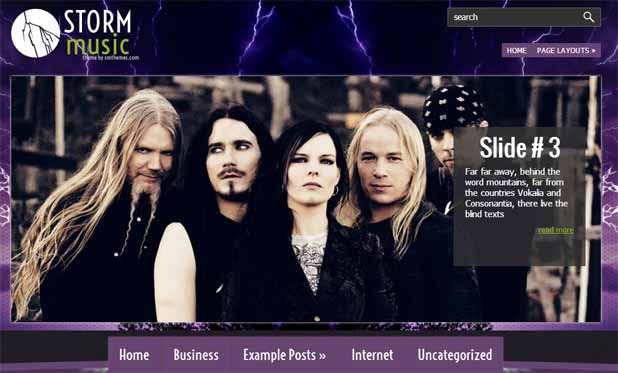 StormMusic is a premium responsive WordPress template with dynamic content loader, customizable menus, translation options and Google maps shortcode. 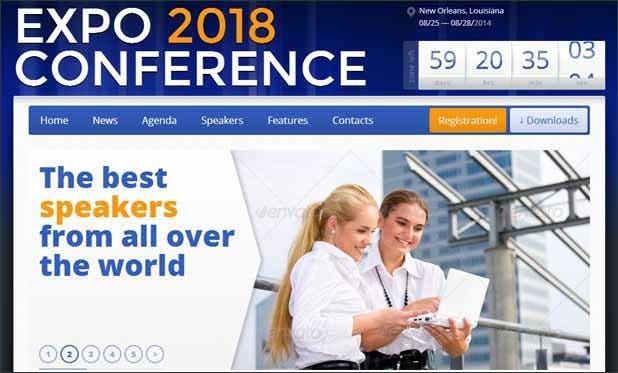 Expo18 is a worthy responsive WordPress template four custom widgets, contact form, custom login logo support and full-width page templates. 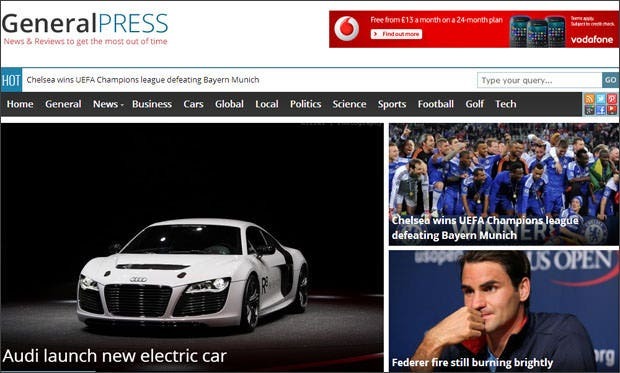 SportsBlog is a premium responsive WordPress template with advanced admin control panel, advertisement options, in-built SEO options and other useful features. 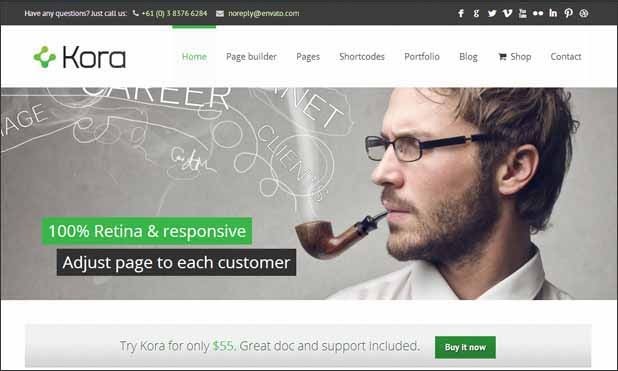 Kora is a terrific responsive WordPress template revolution slider, advanced theme options panel and many different layouts and drag & drop page builder. Voyage is a top notch responsive WordPress template with advanced search filter options, one-click auto install, cross browser compatibility and custom widgets. 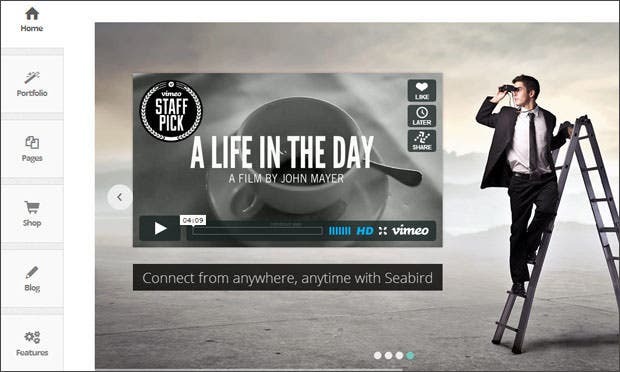 Seabird is a premium responsive WordPress template for multipurpose sites. 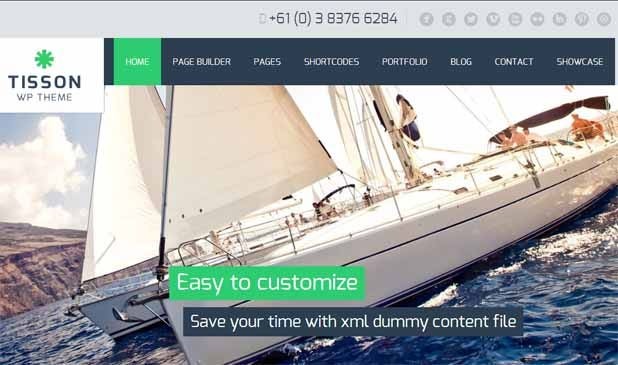 With aqua page builder, revolution slider, Twitter bootstrap and advanced styling elements. 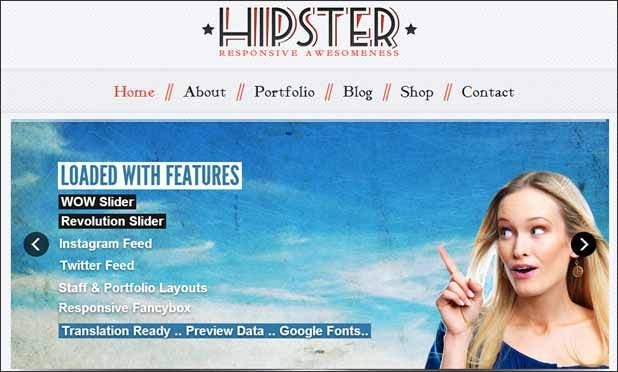 Hipster is a premium responsive WordPress template with a pixel perfect retro layout, woo-commerce support, revolution slider and boxed layout. 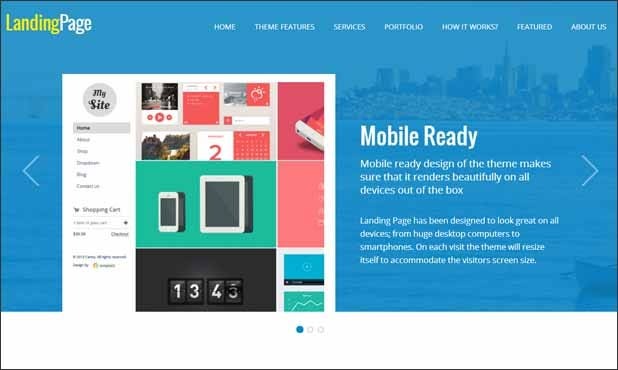 Landing Page is a worthy responsive WordPress template with full homepage control, portfolio management option, unlimited color options and mega menu support. 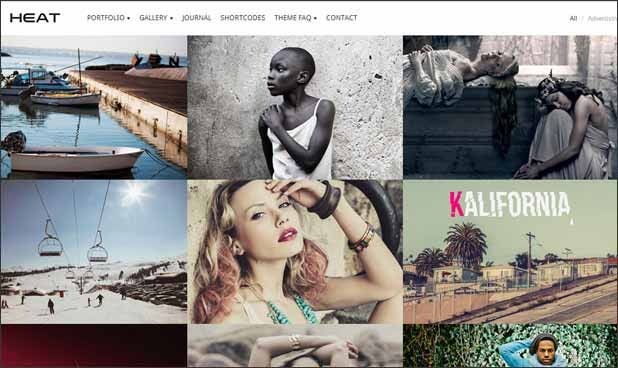 KALLYAS is a special responsive WordPress template with an amazing page builder, three portfolio layouts and six homepage styles, etc. 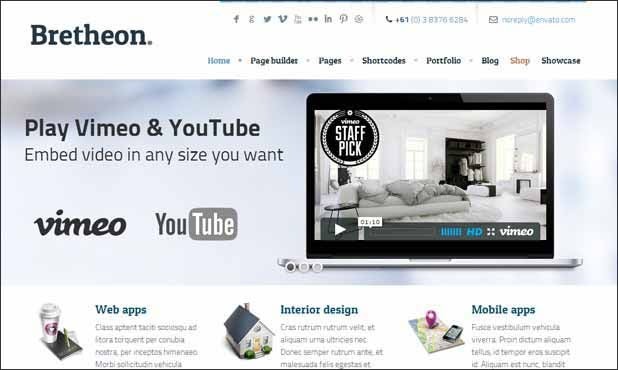 Tisson is a worthy responsive WordPress template with multiple shortcodes, drag & drop page builder, revolution slider and advanced options panel. 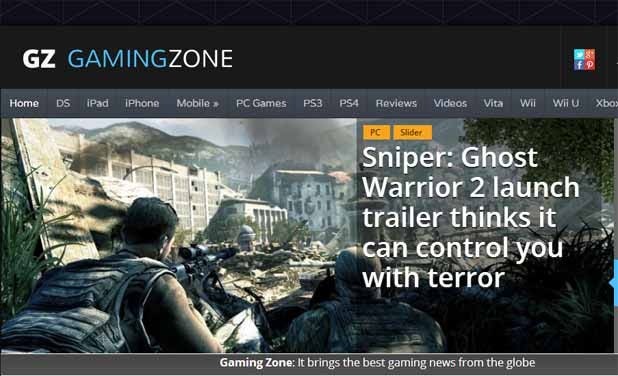 GamingZone is a premium responsive WordPress template featuring advanced advertising options, admin control panel and innovative thumbnail type and exciting page templates. 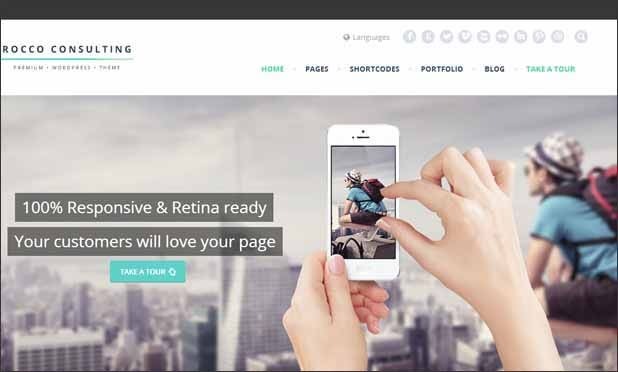 Deadline is a premium responsive WordPress template with fully widgetized homepage, different post formats, localization support and customizable widgets. Doover is a well known responsive WordPress template with four header versions, over seventy shortcodes, three sliders and social sharing panel. 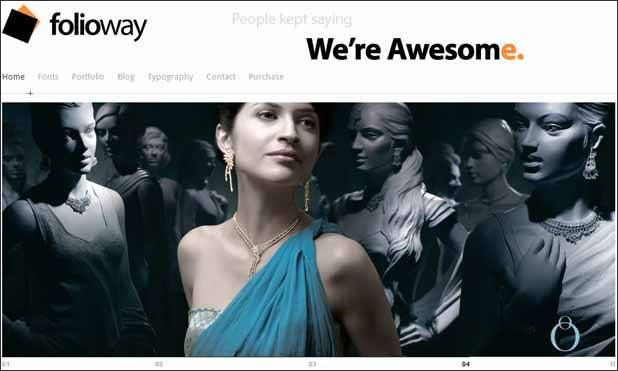 Folioway is a well known responsive WordPress template with unlimited slider items, unlimited colors and unlimited sidebars and an optimized grid-based design. Viva Themes# 02 is a nice and responsive WordPress template with full screen background slideshow, custom shortcodes, threaded comments section, etc. 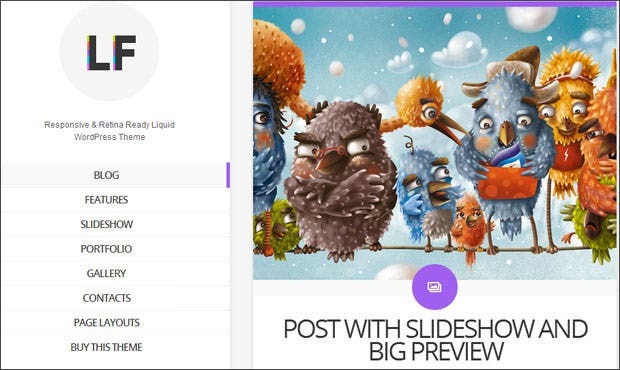 LiquidFolio is a superb responsive WordPress template with custom colors, different post formats for gallery and blogs and customizable background. Lucid is a fully loaded responsive WordPress template with five unique colors, complete localization support, browser compatibility and other utility features. ProMotion is a nice and responsive WordPress template with amazing mover slider, customizable widgets, slider managers, custom sidebars and various other features. 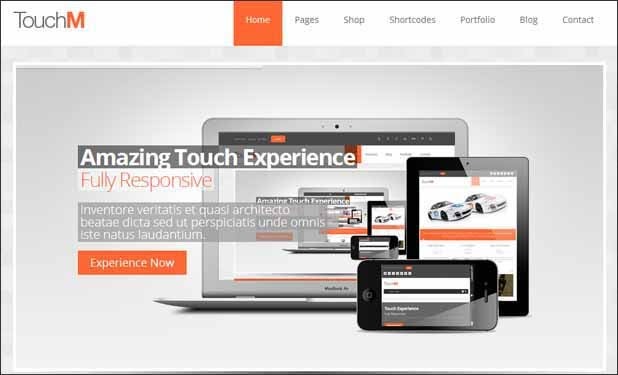 TouchM is a premium responsive WordPress template with WooCommerce support. 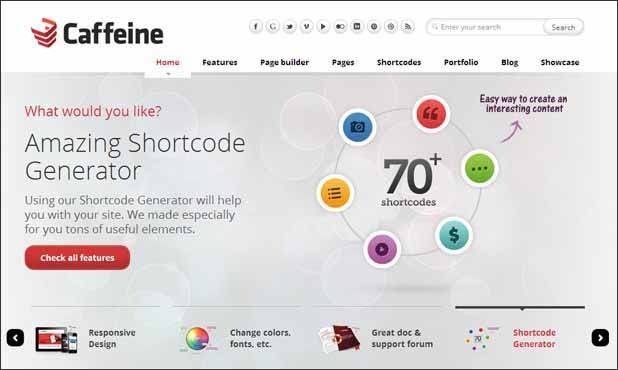 It features a visual shortcode generator and wide and boxed layout. Output is a premium responsive WordPress template with custom translator, different page layouts, custom widgets, custom shortcodes and premium layer slider. Fusion is a premium responsive WordPress template with secure and valid code, localization support, unlimited colors and an unparalleled support. 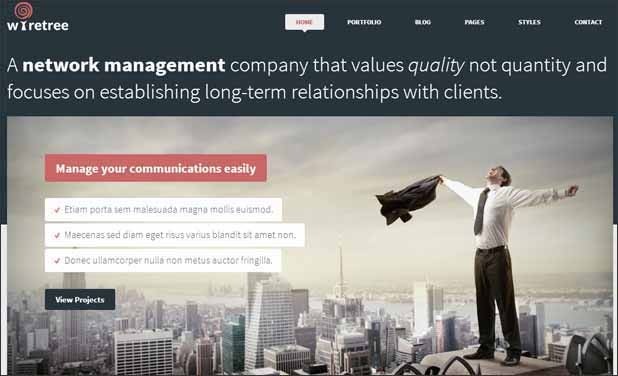 Collective is a great responsive WordPress template with in-built SEO optimization, one-click auto install and advanced business and portfolio options. 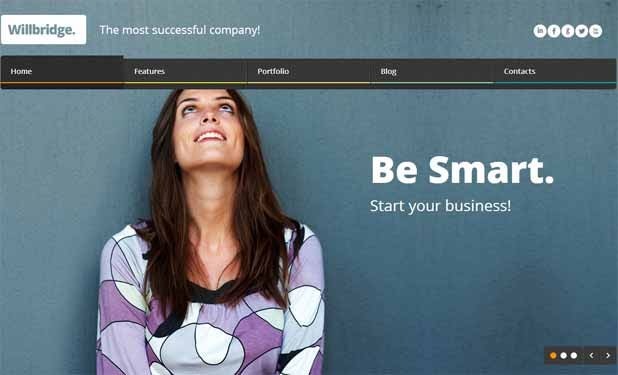 StartUp is a well known responsive WordPress template with flexible theme options, twenty predefined color skins and two variants of color schemes light and dark. Petit is a premium responsive WordPress template, meant for food websites and blogs. It features custom widgets, recipe shortcodes and ZOOM framework. Sparks is a superb responsive WordPress template with custom background, five custom widgets, page templates and advanced accent color control. 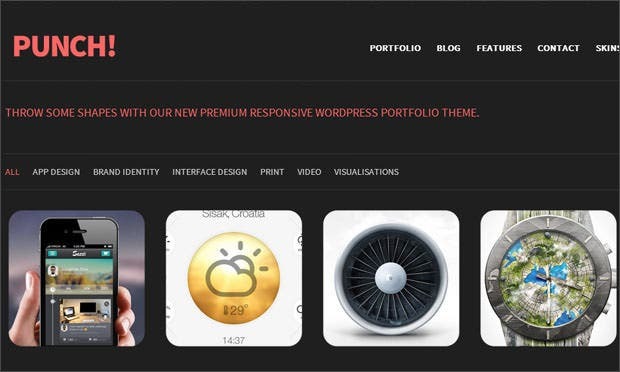 KLASIK is a nice and responsive WordPress template with black and white presets, three homepages, retina-ready display and Google fonts support. Newster is a premium responsive WordPress template with four color schemes, wide and boxed layout, customizable widgets and a simplistic design. Caffeine is a superb responsive WordPress template with unlimited colors and fonts, easy content builder, over seventy shortcodes and advanced theme panel. Heat is a nice and responsive WordPress template packed with utility features with touch-optimized accelerated slider, full width home slider, etc. Pax is a nice and responsive WordPress template with advanced customization options, multiple shortcodes, unlimited colors and other utility features. 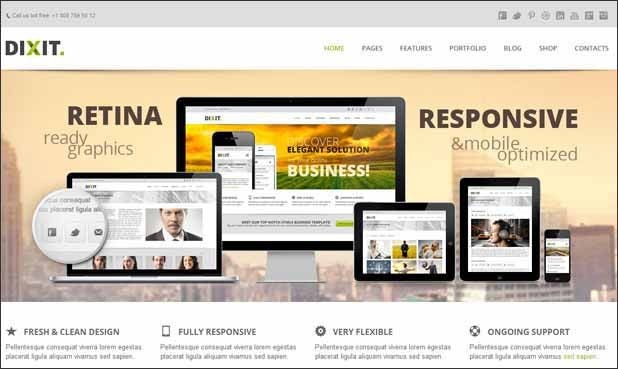 Adamas is a well known responsive WordPress template with advanced e-commerce support, page builder, four slideshows, fancy animations and other specs. 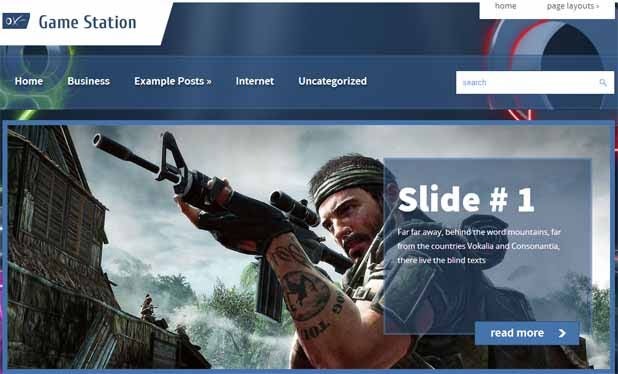 GameStation is a great responsive WordPress template with custom sidebars, dynamic content loader, custom menus and also social share bar. 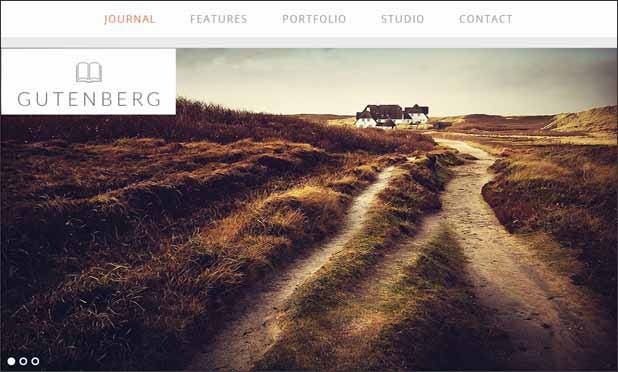 Willbridge is a superb responsive WordPress template with advanced options panel, contact form manager, twenty five styles widgets and unlimited sidebars. 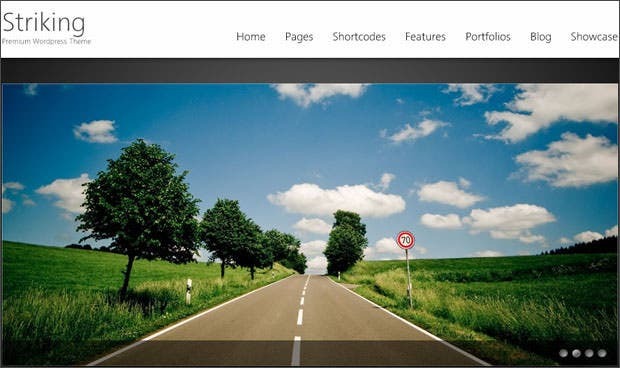 Sideways is a great responsive WordPress template with complete localization support, customizable widgets and an optimized homepage slider. Gutenberg is a premium responsive WordPress template with free file resources, dedicated support center and an advanced social sharing panel. 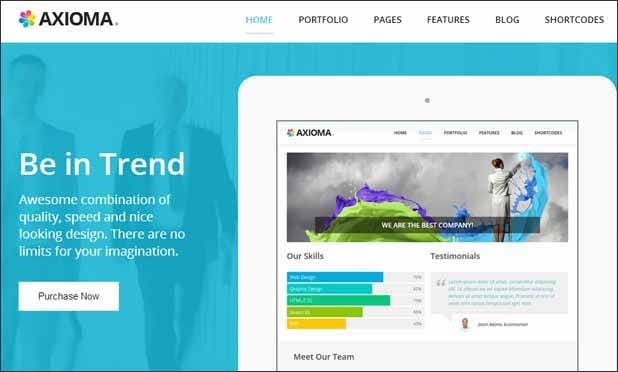 Axioma is a responsive WordPress template with unlimited parallax, layer slider, motion effects and an advanced layout constructor. Happiness is a great responsive WordPress template with unlimited color variations, crossbrowser compatibility, Google fonts support and an optimized layout. Damian is a fully loaded responsive WordPress template with over five hundred Google fonts, over thirty shortcodes and other customization theme options. 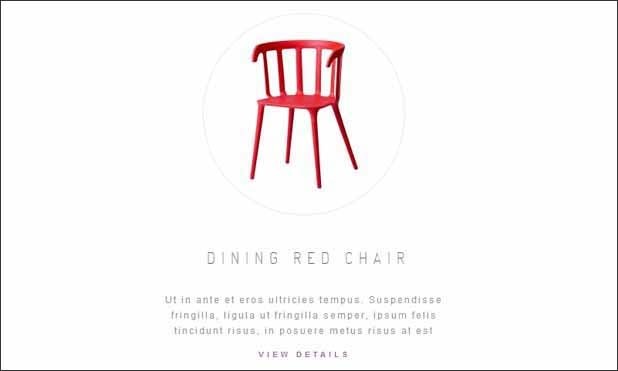 DIXIT is a premium responsive WordPress template with Google fonts support, customizable widgets, unlimited sidebars, drag & drop page builder, etc. Folo is a premium responsive WordPress template with advanced theme options, custom accent color, cross browser compatibility and other customizable features. Explorable is a responsive WordPress template with Google maps integration, unlimited colors, filterable search listings and visitors rating system. Incredible is a premium responsive WordPress template with over five hundred Google fonts, unlimited colors, premium sliders and shortcode generator. Serenity 2.0 is a fully loaded responsive WordPress template with over six hundred Google fonts, unlimited color and other customizable widgets. Insider is a responsive WordPress template with easy color styling, dynamic homepage builder, custom post types and homepage slideshow tabs. 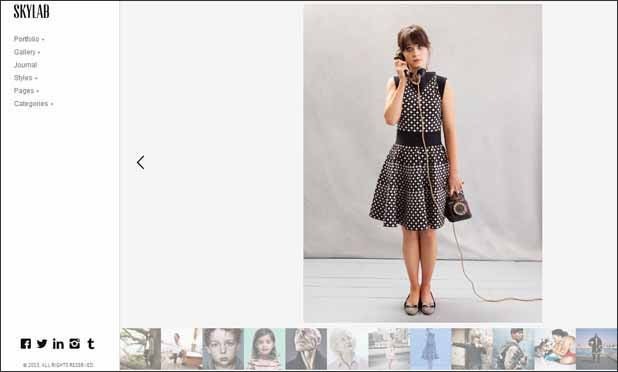 Tripod is a great responsive WordPress template with multiple gallery types, drag & drop layout builder, WooCommerce support and unlimited customizable templates. 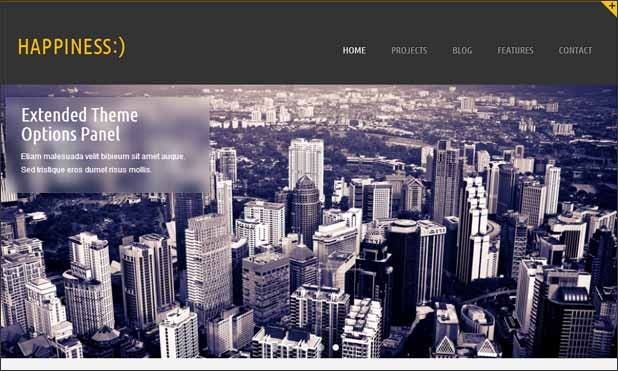 Chronicle is a premium responsive WordPress template with custom widgetized areas, sticky posts, video slideshow, ZOOM framework and Ad ready theme. 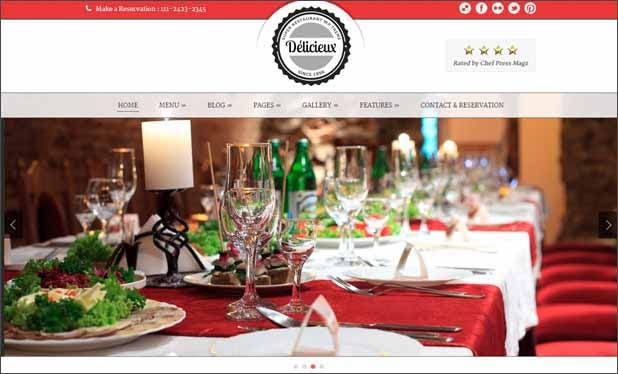 Delicieux is a premium responsive WordPress template featuring page builder, live color changer, different food post types and other useful features. 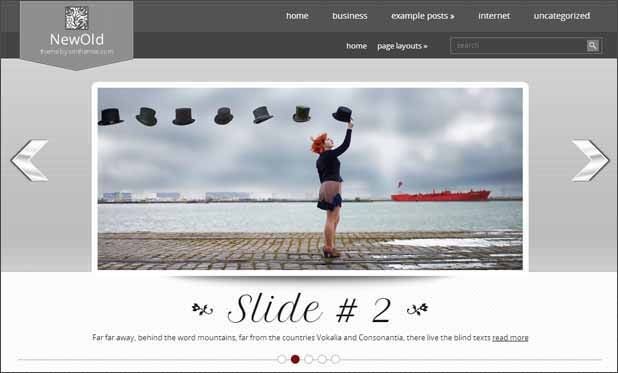 Ambro is a fully loaded responsive WordPress template, designed for magazine sites. It features a Polaroid slider and advanced theme options panel. iSloping is a responsive WordPress template with over five hundred Google fonts, cross browser compatibility and over thirty shortcodes. Prologue is a great responsive WordPress template with featured slideshow, sticky posts, ZOOM framework and featured category widget and other features. Circles is a premium responsive WordPress template with custom background panel, a multi-level dropdown menu and a front page builder. 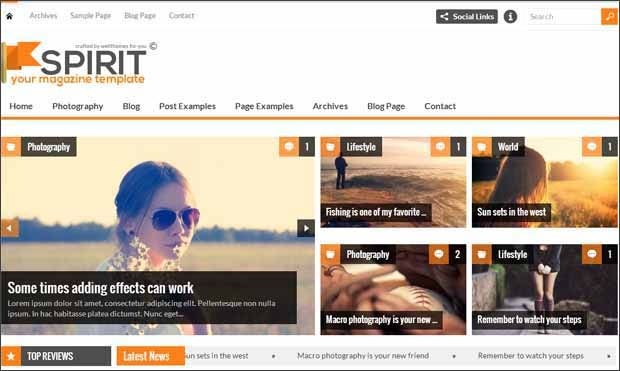 Connect is a fully loaded responsive WordPress template with multiple shortcodes, post templates, BuddyPress compatibility and an advanced ad module. Alternate is a fully loaded responsive WordPress template with custom background panel, custom menu system, blog page template and threaded comments section. NewOld is a premium responsive WordPress template featuring custom sidebars, Google maps shortcode, contacts page and various other customizable widgets. 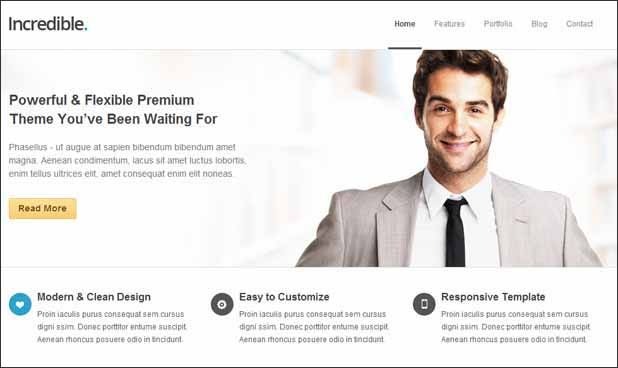 Opinions is a premium responsive WordPress template with an ad module of category based templates, multiple category page templates and post templates. PixelWhiz is a responsive WordPress template featuring one-click auto install, dynamic sidebar widget creation and also cross browser compatibility. VisionWorld is a premium responsive WordPress template with a responsive swipe slider, five different color schemes, in-built SEO optimization and other included modules. Car Dealer is a fully loaded responsive WordPress template with extensive setup documentation, theme localization and full forum access and included demo files. 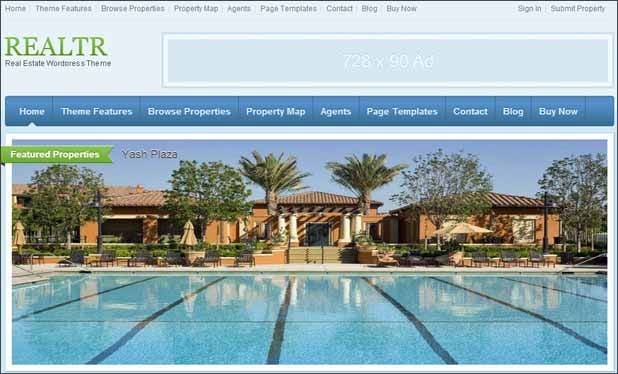 Realtr is a worthy responsive WordPress template designed for real estate sites featuring widgetized homepage, Google maps integration and showcase properties. 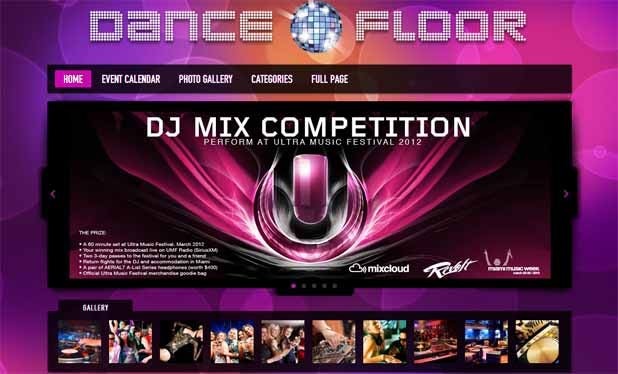 Dance Floor is a premium responsive WordPress theme, specifically designed for DJs. The template features extensive setup documentation, easy installer and supports localization. 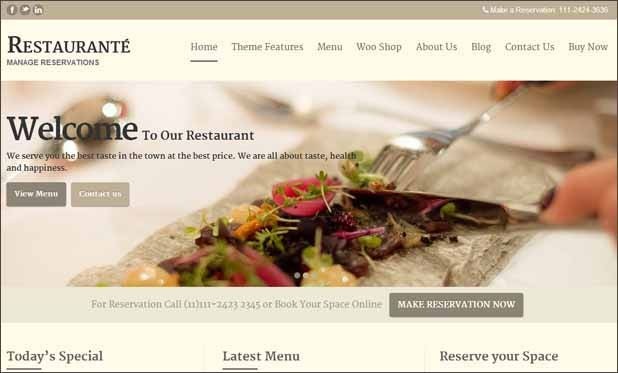 Restaurante is a premium responsive WordPress template with banners and ads support, multilingual support, unlimited color options and include calendar. 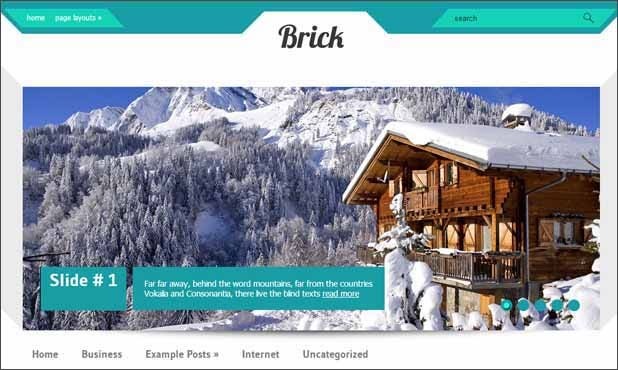 Brick is a worthy responsive WordPress template with custom sidebars, dynamic content loader, translation-ready, Google maps shortcode and social share bar.